Teens 15" wide neck clear k-resin flexible plastic hanger features a flat body and a set of notches for hanging straps with a polished swivel silver hook and wide neck for collars. For teens sizes (7-14). 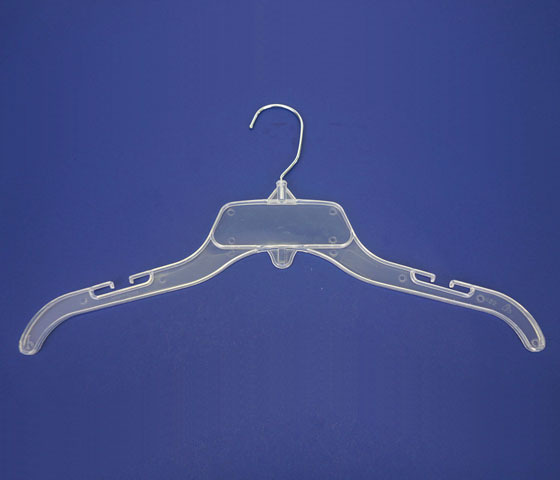 This high quality hanger is perfect for teens tops and dresses. 200 per box.